Hermann Hauser’s I.E.C.T. Capital Partners, Stefan Schneider (floor13.de) and other financial investors place a seven-digit investment in kompany.com, the leading Regulatory Technology (RegTech) provider of authoritative Global Company Intelligence for Know Your Customer (KYC) & Anti Money Laundering (AML) processes. The investment will be used to expand the global footprint to cover 150 million companies worldwide and to develop new leading services such as an international Ultimate Beneficial Owner (UBO) analysis tool. Due to increasing regulatory requirements (e.g. the 4th Anti-Money-Laundering Directive) and a higher commercial need to manage risk in cross-border transactions, the cost of compliance is continuously growing. RegTech aims to alleviate the growing burden of compliance by automating processes, mitigating risks and exposure, and enabling significant time and cost savings. Founded in 2012, kompany provides real-time access to official and authoritative commercial register data, including company filings from more than 100 million companies in 150+ jurisdictions. The proprietary core engine ARTSS (Adaptive Real-Time Semantic Search) connects government registers and other KYC & AML sources worldwide. Value added services such as Politically Exposed Person (PEP) & Sanction list checks, enhanced VAT and IBAN number verifications and monitoring & alerting complete the cloud offering. The service can be instantly accessed via web or integrated into internal ERP or CRM systems through an API. kompany operates under government licenses. The service fulfils the strongest regulatory requirements by providing an audit trail and documentary evidence of company status, ownership, management and history. “We consider RegTech a very exciting future market. 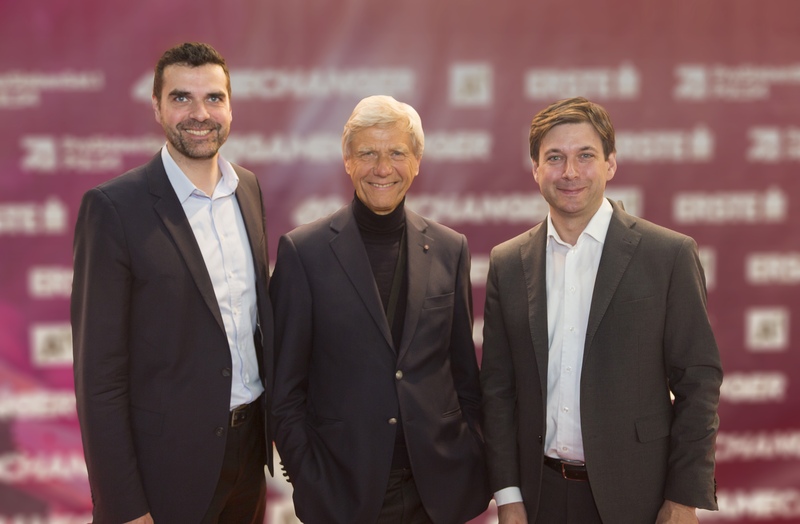 The team at kompany has convinced us with their very good understanding of the market, their global business philosophy and the implementation achieved so far.” Herman Hauser explains his investment decision. He bundles his activities in Central Europe through I.E.C.T, which to date has placed 14 investments. “The current client base includes 35,000 businesses from over 100 countries. Our service is used by global banking groups, international accounting and law firms, and cross-border trading companies”, says Russell E. Perry, Co-CEO and founder.